Disclosure: I received the following canvases for review from Easy Canvas Prints. All opinions are my own. We just took some family photos so I wanted to print these on canvas to hang in the living room in place of our engagement photo. 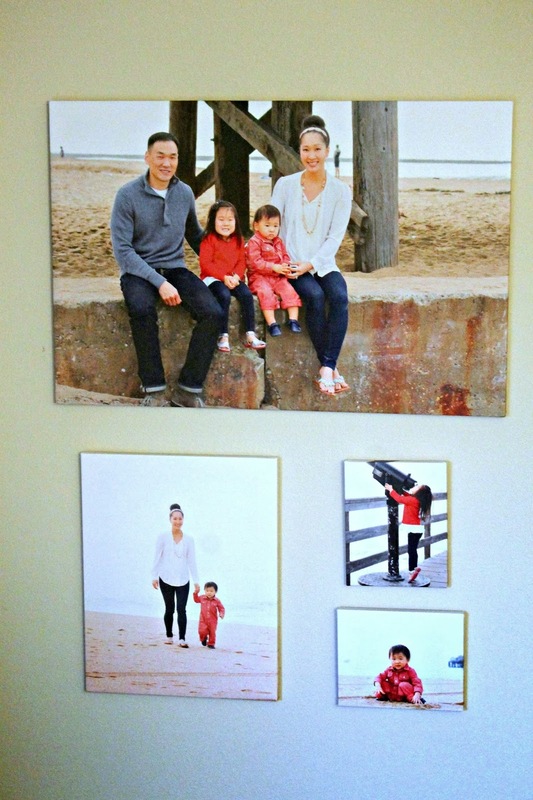 Easy Canvas Prints is truly easy and you can easily upload your photo from your computer, Facebook or even Instagram! 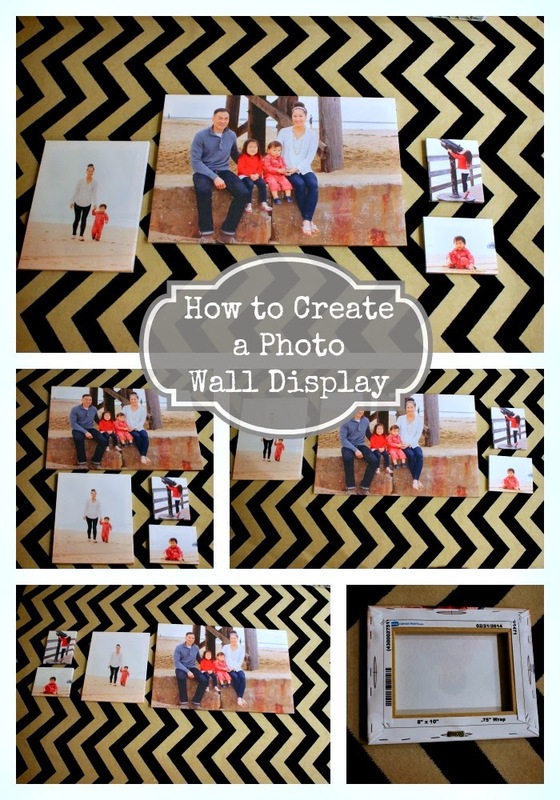 To create a photo wall display, first choose the photos that you want displayed on your wall. Because I wanted to balance the wall space to the other side (where I have photos in frames and an art piece hanging), I decided on 4 photos. Then you choose the size of the canvases. Easy Canvas Prints makes it easy with their wall display options for those who do not want to choose individual canvas sizes to create their display. This is a neat option because you can see how the display will look on your wall and order accordingly. It's relatively easy to print your photo in Black & White or Sepia Conversion and minor and major retouching is available as well. The prints are giclee prints made from archival inks. The canvas is a cotton-based material. The finished product has a semi-gloss surface. There is a slight odor from the ink when you receive it so let it air out. I went with 24x36, 16x20 and two 8x10 canvases. Lay out the canvases on the ground so that you can see how you want the display on the wall. You can move around and change easily this way before making it final by hammering the nails on the wall. I took photos of the different arrangements so I could compare before deciding. After you have decided, choose the anchor canvas and position that on the wall and hang. You can then arrange the remaining photo canvases on the wall. Super easy yet dramatic effect. Plus it's nice to showcase photos you treasure in a manner other than the standard photo book/photo albums. I love that they print the date on the back so you will always know when you printed it! PROMO: 60% off canvas prints + free shipping! Make sure to connect with Easy Canvas Prints on Facebook and Twitter! One winner will Receive an 8 x 10 Canvas Print! I learned you can sign up for exclusive deals sent only to email subscribers. They have an idea gallery on their site, which I love for inspiration! I Like that you can even print your instagram photos on canvus! I learned that you can print your instagram photos. I learned that whatever the size of canvas I want the prices are great!! I learned they have some great prices and wrap around for the canvases. I learned that you can print instagram photos on canvas. I learned that you can choose the wrap depth to be .75" or 1.5". I learned that production time is only about 10 days~ so quick! I learned that the canvas is pretty durable, but you can dust it or use a damp cloth for cleanups.